What sort of place do I work at? 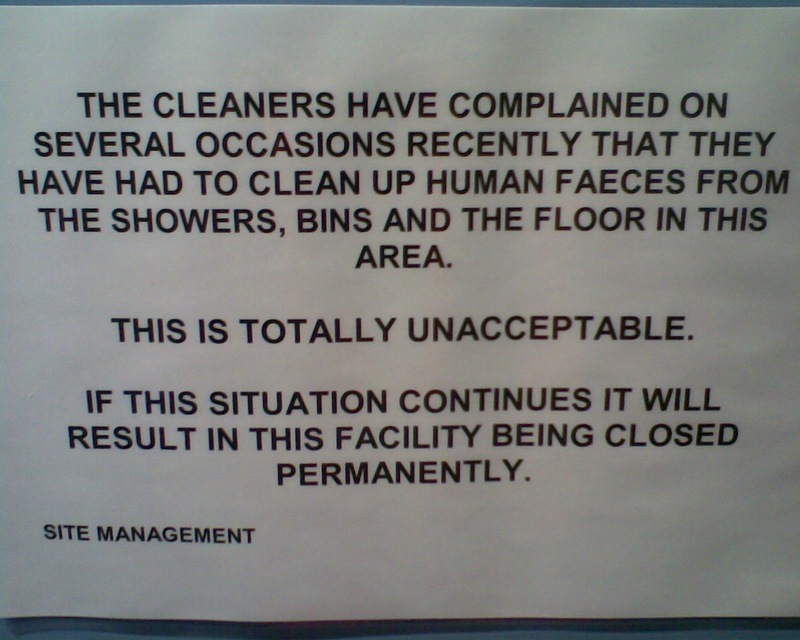 It seems to be a mighty bizarre thing to do and makes me wonder what sort of person would poo all over the place like that. I can't say that I have noticed any of the stuff lying around but it makes me feel slightly queasy just thinking about the number of times that I have used those showers. 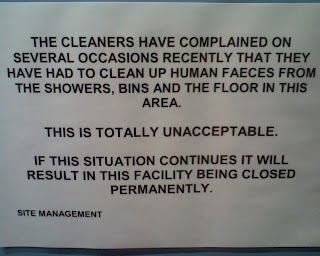 And how do they know it is human faeces? This is not the first "poo" related incident either. Last year all the towels on the towel rack outside the changing rooms (including one of mine) had to be destroyed because someone had wiped poo on a few of them. 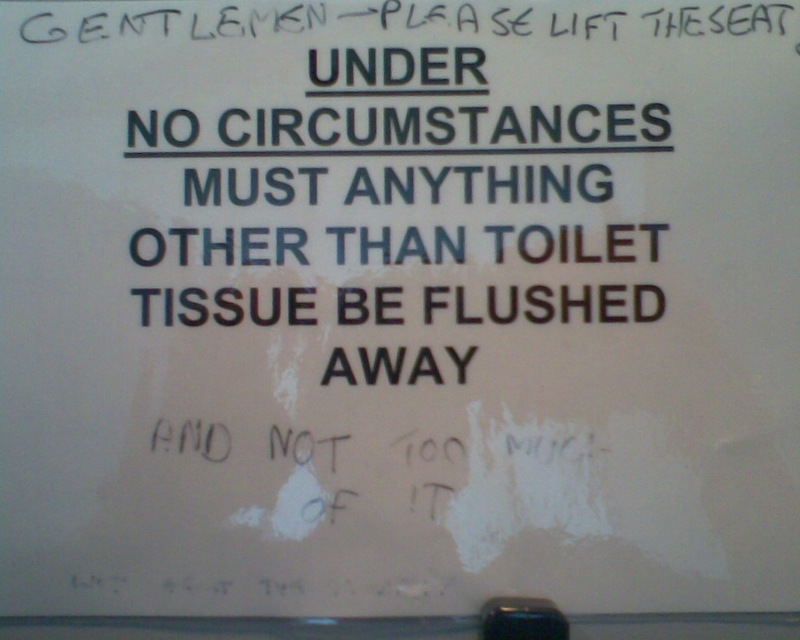 Previous to the great towel burning there was an infamous incident where someone had pooed in a cleaner's mug. At least one person seems to be on a serious bowel-related rampage. I would of thought that because the demographic of the workforce are mainly highly educated people that this sort of thing wouldn't happen but hey there can always be a rotten apple. 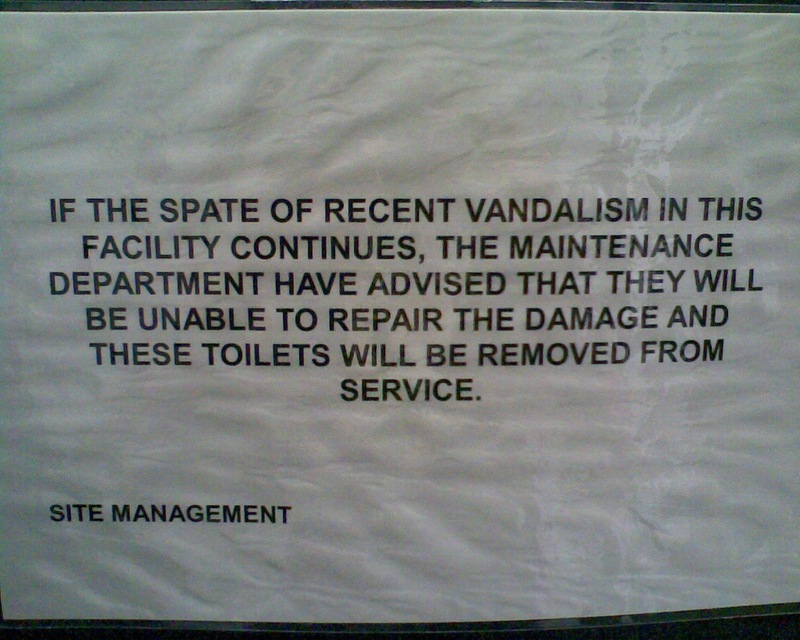 I will be mighty peeved if they close the changing rooms though as I deperately require a shower after my daily commute. 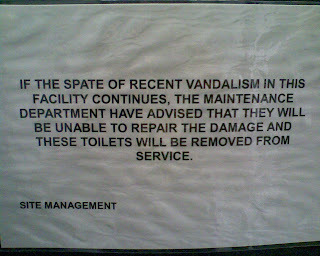 Makes me wonder what on earth the vandalism was and whether I should risk taking a peek. 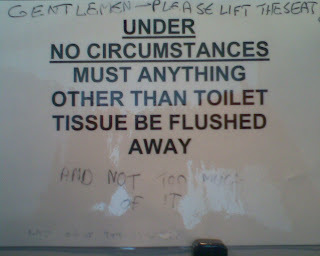 I think the bit at the bottom that is unclear says "What about the poo?" Very funny but I think good old site management hadn't cleared the blockage correctly the first time and thats why it kept getting blocked.